Updated book now in print copy and eBook format. See Details. 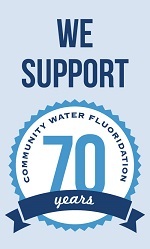 Find additional information about fluoride and fluoridation at MouthHealthy, the ADA's consumer website.